Fill a large pot with lightly salted water and bring to a rolling boil. Stir in spinach and three-cheese tortellini and return to a boil. Cook the pasta uncovered, stirring occasionally, until the pasta has cooked through but is still slightly firm, 10 to 11 minutes. 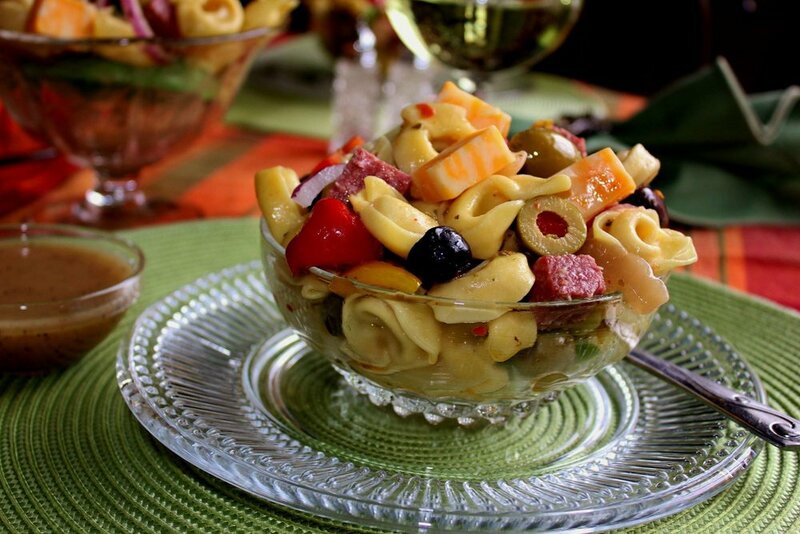 Toss together the tortellini, grape tomatoes, artichoke hearts, olives, red onion, carrots, and dressing in a large bowl.